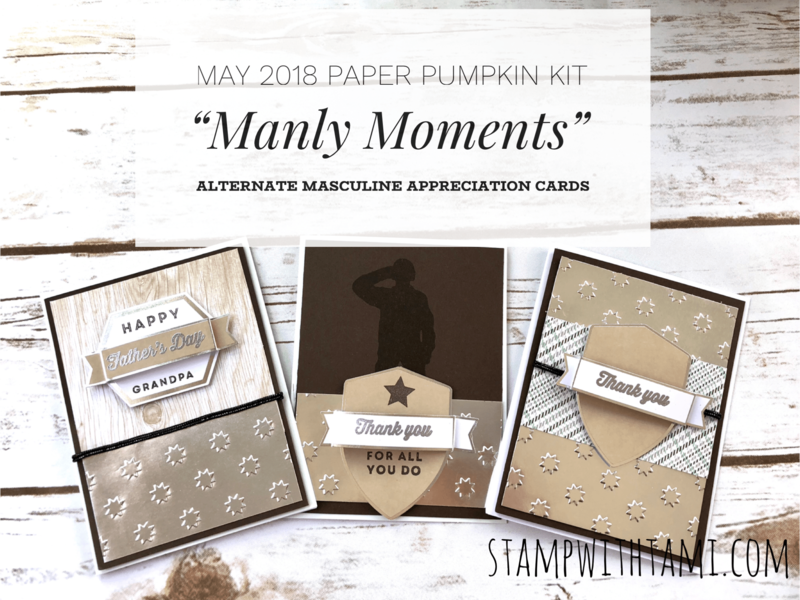 My card share today is a “bonus” from my set of “Manly Moments” alternate cards for the Paper Pumpkin kit (May 2018). 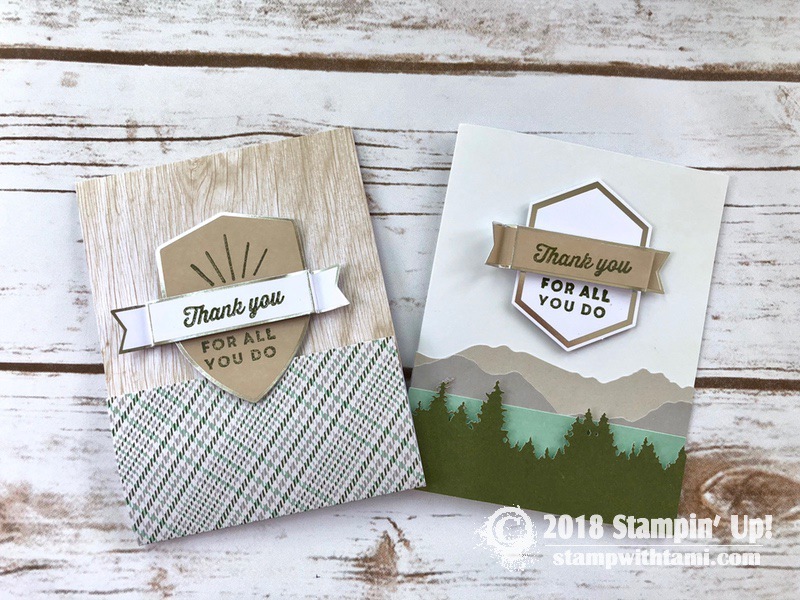 I created this card first, and then the ideas for masculine “thank you” and Father’s Day cards started flowing and I ended up making and additional set of 3 cards for tomorrow’s video class. I’ll share a sneak peek below. This is a pretty simple twist on the original cards in the kit, using a lot of the pieces of the kit and stamp set. I also added some Early Espresso Card stock and the Layering Ovals dies for the window. My tip when creating the oval panel, is to cut the pieces separately. They are too thick for the oval die when they are together. As of this morning, the refills to May’s kit were still available in my online store. They are while supplies last. Be sure to sign up for June’s kit by Sunday, June 10 deadline. 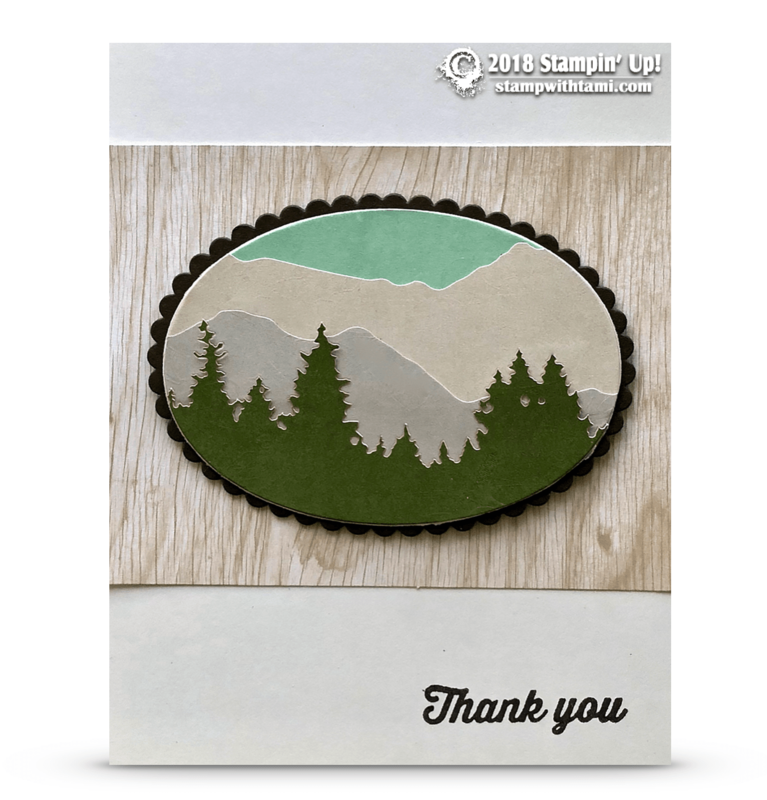 Click here to see my May Kit Reveal Video and how to make these cards. See my Paper Pumpkin Gallery, and get more info on it here. Here’s what we’ll be making on tomorrow’s online class. Stay tuned to my blog tomorrow morning for the free pdf. Live on Facebook and Youtube at noon EST. Can’t wait to see you do the soldier one tomorrow!